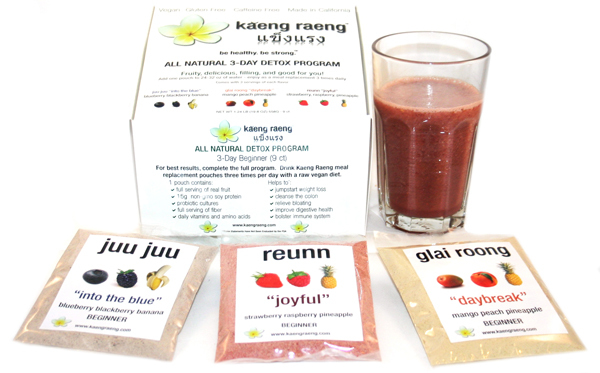 I’m interested in trying this Kaeng Raeng detox cleansing program. The program consists of drinking a fruit powder mixed with water for 3 times a day, replacing your meals. The program lasts for 6 days or as short as 3 days. From the website Kaeng Raeng if you want to cleanse your system do the 3 day program along with eating raw fruits and veggies. If you want to lose weight, do the 6 day program. Use code LAUREN15 for 15% OFF. Code from LaurenConrad.com. Offer expires 10/19/11 at 11:59PM PST.